Below we sell at discount Acne Kits, Collagen Boosting, and Skin toning Kits. Pictures are not to scale. 100ml Aftercare Lotion with skin conditioning agents with Organic sun screen SPF 15. 50ml Acne-Clear Lotion. Acne Spot Prevention and Control. For more information on each product please click on the product name above. We recommend that every morning after you have cleansed and dried your skin, you apply the "Acne-Clear Lotion", followed by the "Aftercare Lotion". 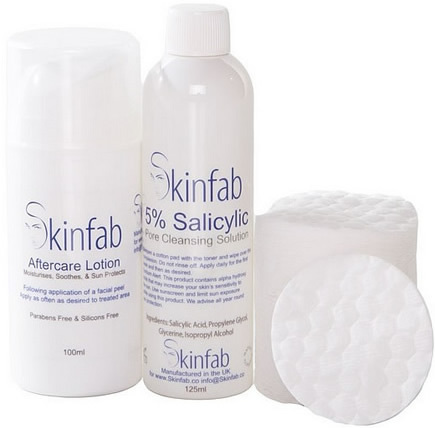 At night use the “5% Salicylic Acid” followed by the "Aftercare Lotion". Your acne and blemished skin will dramatically improve or clear within days/weeks and the blackhead will be eliminated. This will also reduce the greasiness of your skin and remove the dead cells giving you fresh glowing skin. It is also important that you drink at least three pints of water each day. We strongly recomend that you add the "200ml Nourishing Clay Mask" to this order. Day one – Cleanse your face then use the “Clay mask” until dry. Then cleanse again and apply the "Acne-Clear Lotion" if using "Acne Control Kit One". Leave on face followed by the "Aftercare Lotion". Alternativly use the “20% facial acid peel” if using "Acne control Kit Two". Leave on for two to eight minutes before using the “Neutraliser gel”. Once the gel is dry then use warm water to wash your face and pat dry with a towel. Then use a small amount of the “Aftercare Lotion” which can be left on your face. End of day one. 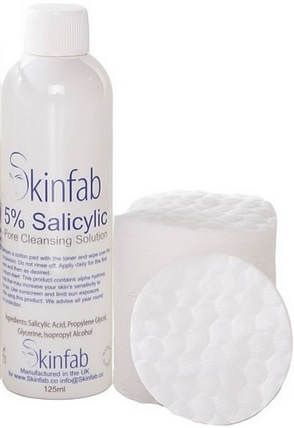 Day two to six – Cleanse and pat dry then apply the “5% Salicylic Acid” with a cotton pad or alternatively apply the “Acne-Clear” and either can be left on your face. Repeat twice a day for five days. Then use a small amount of the “Aftercare Lotion” which can be left on your face. End of day two to six. If you wish on the third day you can use the facial clay mask before using the “5% Salicylic Acid” or “Acne-Clear”. Day seven – Cleanse then use the “Clay mask” until dry. Then using warm water wash and pat dry. Apply the “5% Salicylic Acid” or “Acne-Clear” leave on face twice a day. Then use a small amount of the “Aftercare Lotion” which can be left on your face. End of day seven. The second week simply repeat what you have done the first seven days. 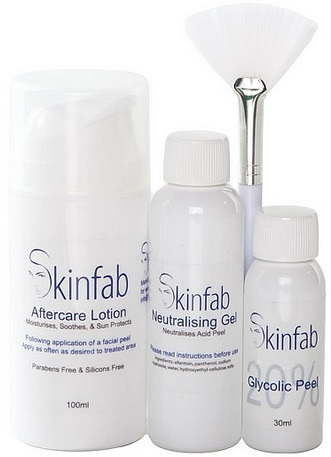 30ml 20% Salicylic Peel, 50ml Neutralising Gel and cotton pads for peel application. Once a week use the 20% Salicylic Peel. Your acne and blemished skin will dramatically improve or clear within days/weeks and the blackhead will be eliminated. This will also reduce the greasiness of your skin and remove the dead cells giving you fresh glowing skin. It is also important that you drink at least three pints of water each day. For more information on each product please click on the product name. 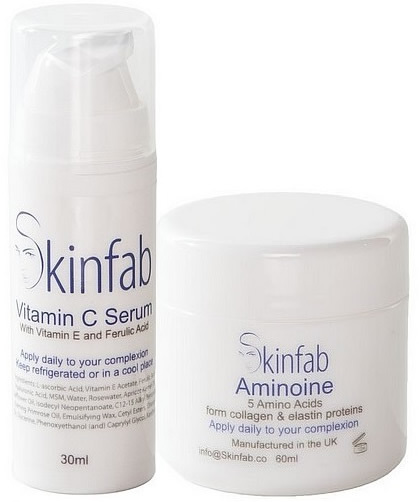 The process of converting amino acids into collagen cannot take place without Ascorbic Acid (Vitamin C). Ascorbic Acid is an essential component of the process. Vitamin C acts as a metabolizer for proline and lysine, turning them into a different form that bonds with glycine to make collagen. So, without vitamin C, collagen simply will not happen. We strongly recommend you combine Aminoine with our Vitamin C Serum for the best possible results.